“A habit is a shirt made up of iron”, it’s hard to take it off. A common bad habit is chewing on ice. If you often find yourself chewing ice, you can rest easy that you are not alone. Some people do it compulsively when enjoying a drink, while others may crave it. In more extreme circumstances, it can be linked to iron deficiency anemia. “If you are in the habit of chewing ice you should waste no time in speaking to a dentist as it may be due to iron deficiency anemia,” said Dr. Roach a dentist in Roanoke VA. Whatever the reason for the habit, most dentists agree that chewing on ice is dangerous and can lead to serious consequences. Chewing ice may be fun but it can be very risky and is not worth it. In this article we’ll discuss where ice chewing comes from, its risks, and potential solutions. Why Do People Crave To Chew On Ice? Iron deficiency often leads to inflammation in the muscles. People suffering from iron deficiency might have inflamed gums and chewing on ice may help with the inflammation. Studies have also linked ice eating in people with anemia to increased brain function. Whatever the reason, anemia is linked to excessive ice eating. 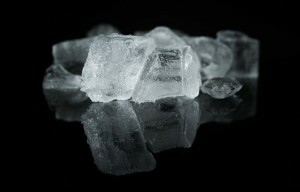 According to a study, the craving to chew on ice is the same as a cup of coffee for a caffeine addict. Both are hard to stop, and yet both can lead to catastrophic consequences. How Is Chewing Ice Bad For Teeth? Ice cubes are rigid and do not break easily. Applying too much pressure can cause your teeth to break or chip. The risk increases if you have a crown as they can chip even more easily. Moreover, constant chewing on ice numbs the nerves in the mouth and you don’t feel the pain. Therefore, you may continue to chew on ice without feeling much pain, thus worsening the situation. While our tooth enamel is one of the hardest tissues in the body, it is not invincible. A cold object such as ice can numb and weaken it. Since it acts as a protective coating for our teeth against cracks and fractures, once it is weakened, our teeth become more prone to damage. A weakened enamel increases your risk for cavities, infections, and dental diseases. The risk of cracks and serious physical damage also goes up, including the risk of losing a tooth completely. Chewing ice can damage crowns and fillings as well. Ice can be bad for the gums. The sharp edge of the cube might tear the gum and cause an injury. The same can happen with the tongue. How To Get Rid Of an Ice Chewing Habit? “You should visit a dentist if you are in the habit of chewing on ice,” suggests Dr. May Yeap of Signature Dental in Frisco, TX. “You should visit a dentist even if the habit hasn’t caused you any dental trouble,” she continues. Not many patients understand this, but the problem can be solved with the right supplements. Restoring the level of iron in your blood to a healthy state is a common problem with a simple solution. You can also use tricks such as turning to unsweetened popsicles to satisfy and reduce your chewing craving over time. It may be a while before you completely get rid of the habit but being patient and persistent will give you good results. Invisalign clear braces do the same exact thing as regular metal braces. They correct dental problems such as crooked teeth, overbites, and underbites. However, they do it with one very big difference – they’re nearly invisibile! They work just like regular braces, but are much more comfortable and easy to wear, giving you a one-of-a-kind dental braces experience. This is why most people who are considering braces prefer Invisalign over other options. Tired of your crooked or misaligned teeth? Keep reading to see if you’re a good candidate for the treatment. Misaligned teeth can bring down your confidence, preventing you being yourself around friends, family, or coworkers. It can also cause eating problems. Many people shy away from smiling openly due to their misaligned teeth. With Invisalign, though, you can begin to regain your confidence as your teeth straighten without anyone noticing you’re even wearing braces. Invisalign works the teeth that require straightening. Depending on the state of misalignment, it can take anywhere between 6- 8 months to complete your Invisalign treatment. Unlike metal braces, Invisalign isn’t itchy or painful to wear. These invisible aligners can be removed and placed back in as you deem necessary. This makes it easier to brush and floss your teeth, as you can take the aligner out to ensure you clean all areas of your mouth. And then simply put the aligner back in place when you’re done. You’ll also find comfort when eating, as food can’t get stuck in metal braces or caught in rubber bands when chewing. You can still eat the same foods you love without any hassle. Many people don’t go to the dentist because they are afraid of possible dental pain. And the same goes for getting braces. Metal braces can be a lot of trouble. They are not only painful to install but can cause rashes and cuts inside the mouth making it difficult to eat and speak. This is a major reason why some people never get braces. However, this problem is solved with Invisalign. The process of getting Invisalign is very easy and painless. It requires visiting a dentist and getting a dental impression of your teeth to determine a treatment plan. The dentist then takes 3D pictures of your jaw to prepare a customized Invisalign aligner that fits your jaw perfectly. In about 2 weeks or less, the clear aligners are prepared and can be worn without any trouble. They are so comfortable you won’t feel anything inside your mouth and might even forget you’re wearing them! Unlike metal braces, Invisalign does not require regular dental visits. You’ll only visit the dentist to get new aligners every 6 weeks or so. The biggest advantage of Invisalign is that they are pretty much invisible and hard to notice if you don’t know they are there. Metal braces are clearly visible, which is one of the main reasons why adults and teens don’t want them. 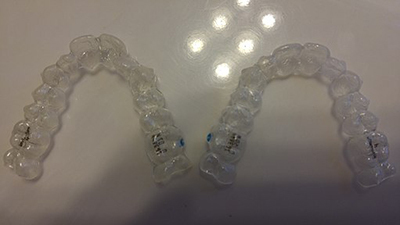 When wearing these clear braces in public, friends, family, and coworkers won’t be able to see the aligners or tell that you’re wearing any form of braces. So Am I The Right Fit? If you identify with the points above, then you’re probably a good candidate for Invisalign clear braces. However, Dr. Jeff D. Baggett, a dentist providing Invisalign in Edmond, OK, says that you cannot be sure unless you visit a dentist. 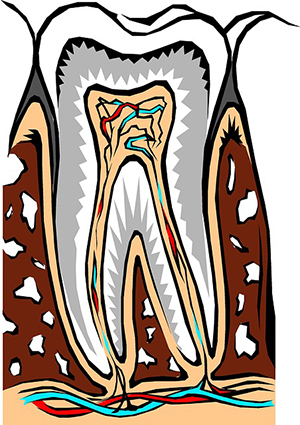 A root canal is a common dental procedure, with about 15.1 million root canals performed every year. However, still, it is one of the most feared dental procedures out there. According to experts, a root canal treatment is used to save a decaying or infected tooth, the only alternative to which is extraction. However, about 15% of dental patients in the US avoid getting a root canal due to the myths associated with it. In the end, the only option is to extract the tooth, which is as painful as a root canal, if not more. The treatment has a high success rate with about 97% of all root canal treatments being a success. During the procedure, the pulp and nerve are removed and the tooth is carefully cleaned and sealed to prevent any damage. Root canals can last a lifetime when proper care is taken. Your dentist will probably suggest you to get a dental crown or tooth filling as well to improve the chances of your root canal lasting a lifetime. Proper dental hygiene is very important for a root canal to be a success. You must brush and floss regularly and stay away from unhealthy habits, such as chewing on hard items etc., to ensure longevity. In addition to this, you will be required to visit your dentist on a regular basis for cleanings and dental exams. A root canal is not the most affordable dental treatment out there, but it is not as expensive as some people think it is. The cost depends on several factors including the number of root canals needed, the dentist you pick, and your location as well since the cost varies from state to state. Nonetheless, the average cost for a front tooth is $700 and $900 for a molar tooth. Your dental insurance may cover all or a part of the charges associated with your root canal procedure so make sure to ask! A root canal is a painful procedure, but thanks to sedation dentistry you can get it done without feeling any pain. Your dentist will numb the area and perform the procedure without you ever feeling a thing! While most dentists use mild sedation in a root canal treatment, if your pain tolerance is very low you must let your dentist know in advance so that he or she can choose the type of sedation accordingly. Other than this, you must make sure to have someone by your side when you go to a dentist for a root canal treatment as you may not be in a condition to drive home after the procedure due to the side effects of sedatives. Based on the amount and type of sedatives used, the effects can last for a good few hours. You don’t have to worry too much about root canal aftercare as your dentist will provide you with guidance. The only tip is to be careful about what you eat and drink so that you do not end up damaging the tooth. Other than this, visit your dentist as required. According to Dr. Patrick Healy from Lockport Dentistry in Lockport, IL, a root canal treatment might be your only option to save a decaying tooth. He pushes patients to consider a root canal treatment as early as possible as infections can spread to other teeth and cause severe damage. Oil pulling is a not a new concept. Reports indicate that oil pulling has existed for thousands of years; however, it has reached a mainstream audience only recently. What is oil pulling? It’s a simple technique that involves swishing a specific type of oil for about fifteen to twenty minutes before spitting it out. But what is this technique doing on a dental site? In addition to problems like eczema and arthritis, oil pulling is said to cure bad breath as well whitening your teeth. Oil pulling does not mean you don’t have to brush or floss anymore. While oil pulling does have its benefits, it is not a substitute for brushing or flossing. Plaque is a sticky film that accumulates on your teeth and needs to be removed manually. This can be done with the help of brushing and flossing. Oil pulling can also help remove plaque. Oil pulling reduces plaque’s ability to stick to teeth. Daily oil pulling can also help remove tooth stains. Various studies have shown the effectiveness of using oil pulling to remove plaque. Although oil pulling can help reduce the presence of plague, it cannot completely remove it. Those who practice oil pulling will have to continue brushing and flossing regularly. Although oil pulling is a fairly easy technique, it’s not for everyone. Children should avoid oil pulling. There’s a risk of the oil entering the body and causing the child to become ill.
Oil pulling requires the use of specific oils. This mainly includes sesame, sunflower or coconut oils as these oils have great benefits. Coconut oil is known for its anti-microbial agents. Also, coconut oil helps fight tooth decay. 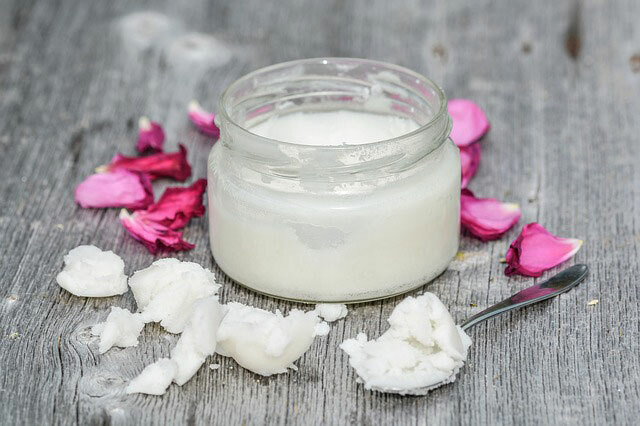 Dr. Ippisch of Advanced Dentistry in Santa Cruz, CA says, “coconut oil contains Vitamin E, which has antioxidant properties that help kill bacteria making it work like mouthwash.” Using the wrong types of oil can be harmful. The recommended time to swish is around five to ten minutes, doing it for longer a period of time will not give you better results. Oil pulling for longer periods may cause your jaw to hurt. You’ll want to start with five minutes and work up to ten minutes. You must spit out the oil once you are done swishing, and then you can swish with water to make sure your mouth is clean and doesn’t feel odd. Make sure not to drink or swallow the oil as it may have negative effects on your health. Make oil pulling a part of your dental routine; however, do not use oil pulling as a replacement for your regular oral hygiene routine. If you have sensitive teeth and gums, you should contact your dentist before you try oil pulling. Sedation dentistry is a field of dentistry that allows you to undergo even the most complex and painful dental procedure without any experiencing any pain. Dental phobia is one of the most common phobias with both children and adults being afraid of undergoing a dental procedure due to the pain involved. This used to be a problem years ago, but now thanks to sedation dentistry, dentists can do their job more efficiently, and patients can feel relaxed while being treated. 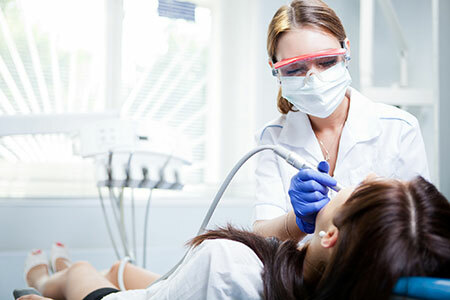 Sedation dentistry refers to a technique that is used to relax and calm a person undergoing any kind of dental procedure. This technique is suitable for individuals having dental anxiety issues. When you look at it, sedation dentistry is for everyone who is afraid of pain or is anxious. It’s okay to sedate both adults and children. Oral sedation via pills is the most common type of sedation to be performed by dental specialists and is typically for those patients who do not like needles. Normally, one pill is taken an hour before the dental treatment. During this type of sedation, the person is typically awake but doesn’t feel pain. Nitrous oxide is a second option for sedation dentistry. In this type of sedation technique, the patient is made to breathe in nitrous oxide. The gas sedates the person, putting them into a state of mild sleep. A final option is deep sedation and general anesthesia. This is used when a very painful procedure is to be performed, such as a root canal. Only some dentists are allowed to use this form of sedation, as it puts the person into deep sleep from which they must be woken at the end of the procedure. Dental sedation benefits both the dentist and the patient. On the one hand, it enables you to stay calm while on the other hand, the dentist is able to perform his or her job without the worry of a nervous or anxious patient. Sedation dentistry not only take the pain away, but it also allows the dentist to be precise and complete the job in a quicker manner too. For the most part, a patient may remain somewhat drained and drowsy for the entire day after being sedated. However, this largely depends on the type of sedation used. Nonetheless, most dentists will suggest that you have someone else drive you home after the treatment in case sedation was used. Do All Dentists Use Sedation? While sedation is a commonly used technique in dentistry, still not all dentists use it. It’s recommended that you speak to your dentist first before you undergo a procedure to learn about the types of sedation that are offered, if any. It should also be noted that not all dental procedures require sedation, and it typically depends on each individual case. If you have anxiety about having a dental procedure done, speak to your dentist about sedation dentistry.